The “Rare Ones” of New Orleans congratulates Seth Angel – wd8orb from New Philadelphia, Ohio on becoming the 107th Associate Member. 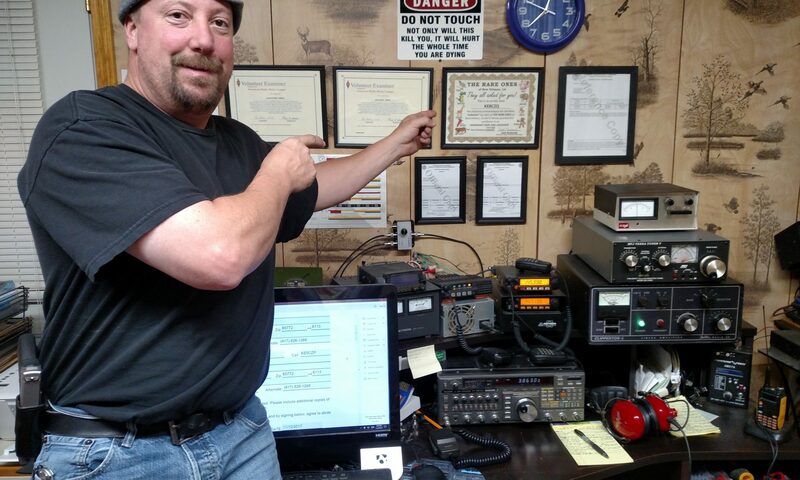 As you see from Seth’s station photo, he is an avid amateur radio enthusiast who has already earned other certificates. He supports the “Rare Ones” of New Orleans with regular QSO’s with his good friends in New Orleans. Congratulations again from the “Rare Ones” of New Orleans. To all our faithful supporters, friends, family and fellow New Orleanians, the “Rare Ones” of New Orleans wish you a Merry Christmas to you and your family. 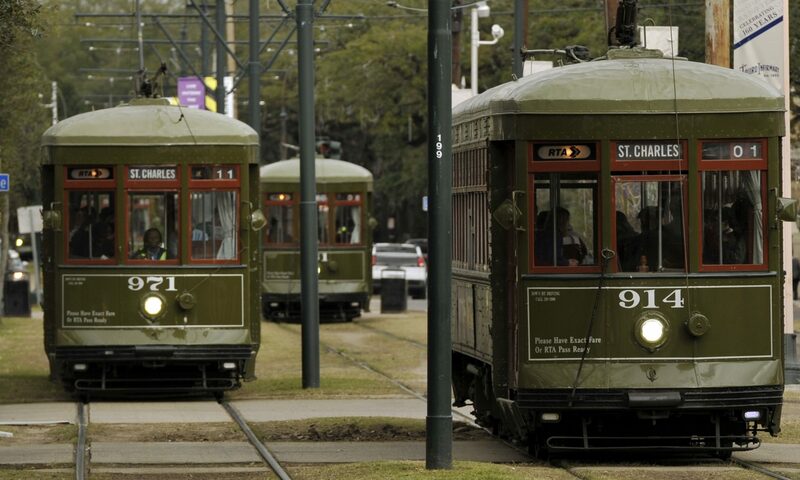 To commemorate Christmas, New Orleans Style, there’s only one that does it best – Louis Armstrong, the Satchmo himself! Press Play, sit back, and enjoy “Christmas in New Orleans”. Below is a link to the “Rare Ones” Christmas Social Photo Gallery. We all had a great time and appreciated everyone’s well wishes. The “Rare Ones” extend their warmest Christmas Cheer to all our family, supporters, and especially the Associate Members. 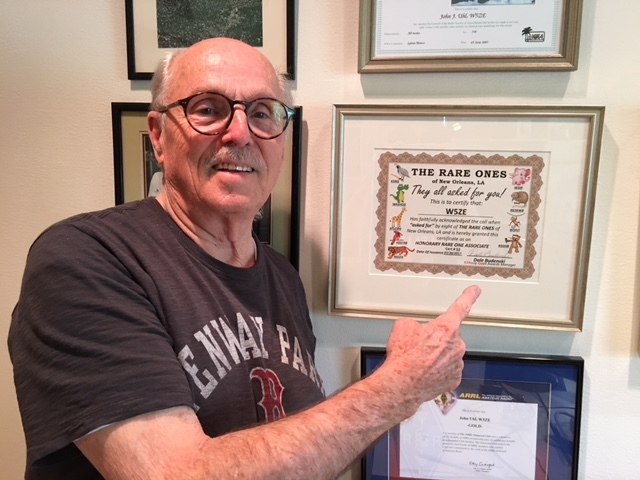 Ryan Wolfe, ke0czq, is proudly displaying his Rare Ones of New Orleans Associated Member Certificate. Ryan has a wonderful shack in Missouri and regularly checks in with the Rare Ones. 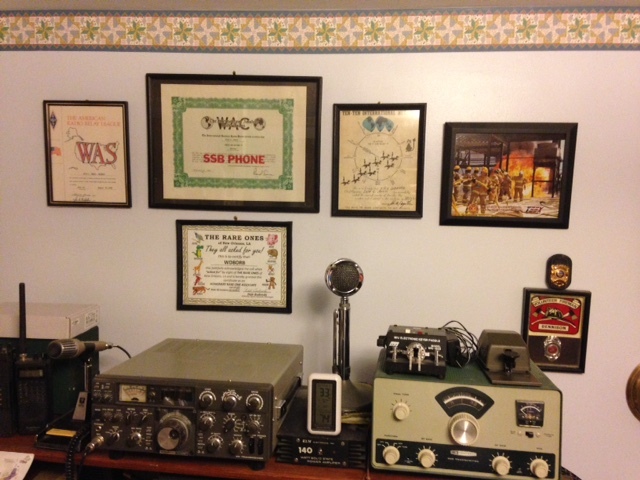 Recently, George Carr, II – ka5khb sent the “Rare Ones” of New Orleans a piece of Amateur Radio History. 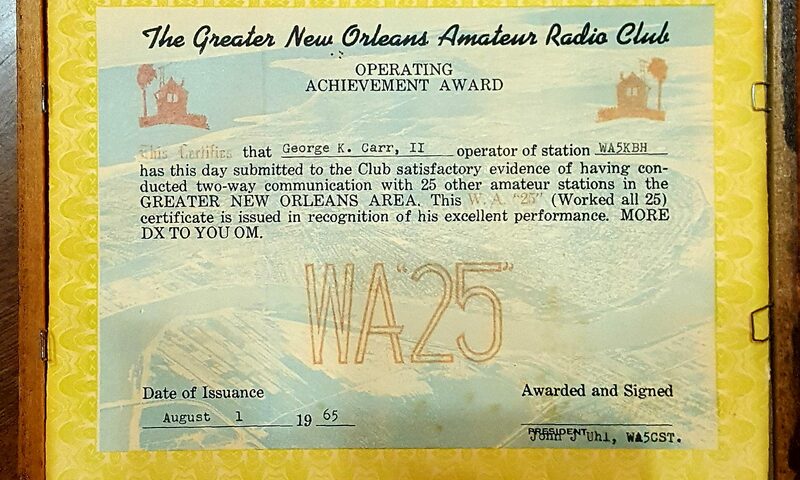 The WA “25” award was issued to an operator who contacted 25 other amateur radio stations in the Greater New Orleans Area. George believes this may have been a prelude to the “Rare Ones” of New Orleans! 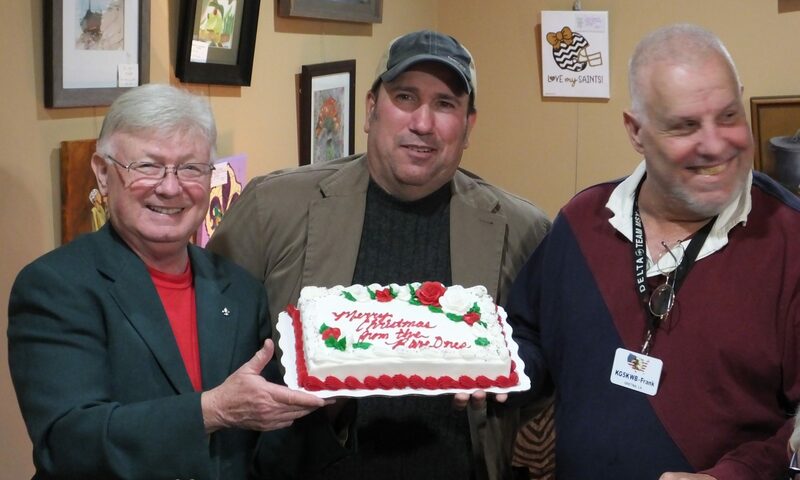 One interesting note is both George Carr, II – ka5khb, the holder of the Award and John Uhl, w5ze (wa5cst), the past President of the Greater New Orleans Amateur Radio Club are currently two Association Members of the “Rare Ones” of New Orleans. The Award was dated August 1, 1965. John Uhl, an Associate Member of the Rare Ones’ of New Orleans, recently sent in a picture of his certificate proudly displayed in his shack. John is an avid DX’er and proud to be a part of the Rare Ones’ of New Orleans.